This tastes just like a giant samosa. And if that’s not a sentence to get you interested, I don’t know what is. It’s from the BBC Good Food magazine, but I adapted it to reduce the fat. And because I didn’t have all the ingredients. Ahem. It looked lovely in the photo but how it looks is honestly nothing compared to how it tastes. Warming without being spicy, filling without making you feel stuffed, impressive enough to make you feel like you’re eating something special but easy enough to do on a week night. Also the recipe makes two, so you can eat one and freeze one for next week. Yay! Enough of my rambling. The recipe! 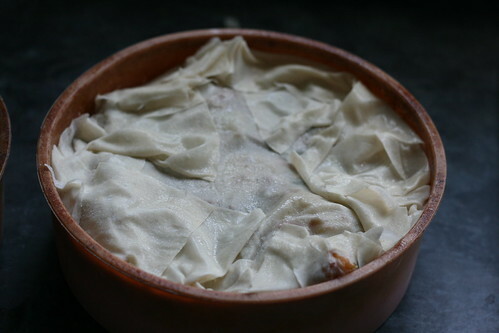 Pre-heat the oven to 190C and start to make the filling. 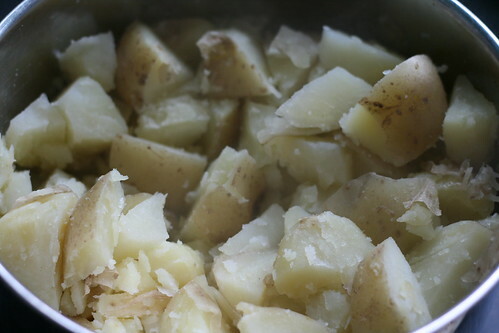 Peel and cut your potatoes and boil then for 15 minutes before draining. Then roughly crush them with a tablespoon — they don’t need to be completely smooth, just in smaller chunks. Whilst they’re boiling you can make the other half of the filling. 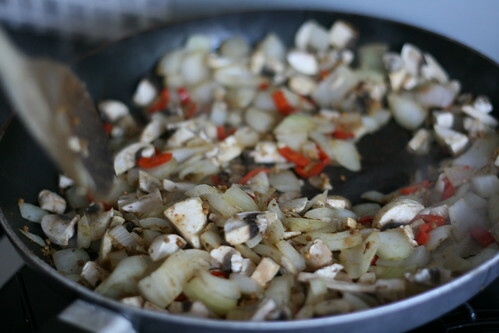 Chop the onions, slice the mushrooms and fry them for a few minutes. Half, deseed and slice the chillis and add them, too. 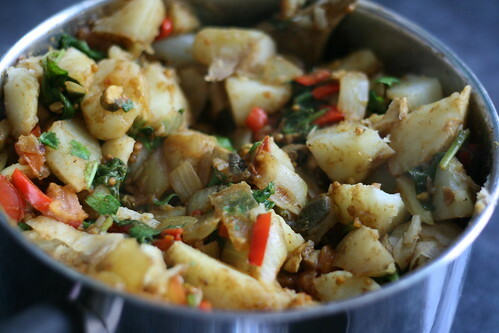 Then add a tablespoon each of the cumin, mustard seeds, ginger and mustard powder. 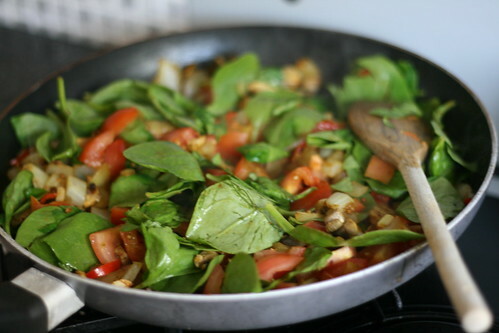 Cook for about seven minutes, before taking off the heat and stirring in the chopped tomatoes and the spinach. 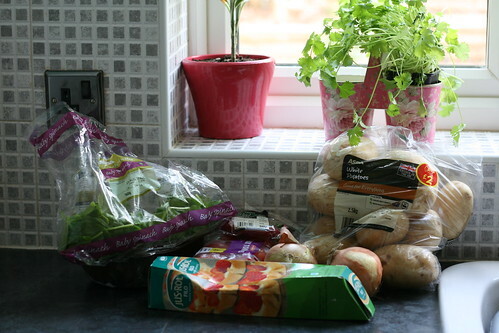 Then you just have to combine this with the potatoes, stirring so that the potatoes are all coated in the mix. You have the filling; now you’ve just got to make the case. 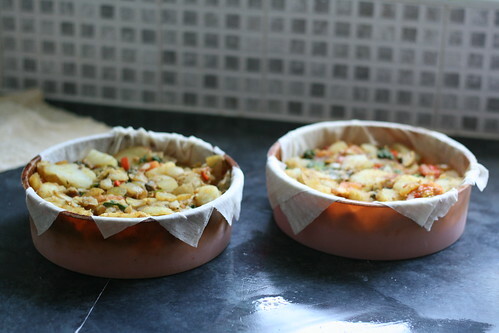 Get two 20cm cake tins and spray them with Fry Light, before laying two sheets of filo pastry in each. Overlay them so that they are at angles to each other with the edges flopping over, and spray the first layer with Fry Light before putting the new one on. Then divide the filling between them. 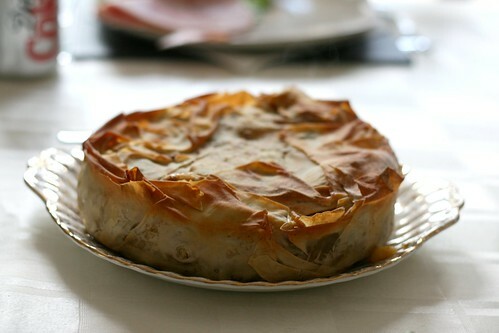 Lay the last sheet straight over the top, then fold all the edges that are flopped over the sides back onto the pie. The edges will be neat; the tops will look a bit messy like this. Spray the top with Fry Light and bake one pie in the oven for 35 minutes. Wrap the other in foil and freeze it. When you want to cook it, just defrost for 6 hours at room temperature; then bake for 45 minutes rather than 35. If it browns too quickly, cover the top in foil. Anyway. When it comes out and is tipped onto a plate, it looks like this. And when it’s cut into? This looks lovely. I was looking for a cooking course, but I think I’ll just follow your recipes instead. Love that you have step by step pictures. I am going to make this tonight. Amy, I’m sooooo glad I’ve found your website. This looks delish. Can you tell me how many Syns on Slimming world Extra easy? I love your SW recipes ad would like to know the syn values if possible . Nope. I don’t put syn values on my recipes as syn values change all the time and I don’t have the time to go through 500 recipes and check every time that happens. Plus it’s good practice to work it out yourself! How many does each pie serve and how many syns. This looks divine! Absolutely LOVE samosas so the bigger the better! Half of 1 pie would be 9 syns and a 3rd would be 6. 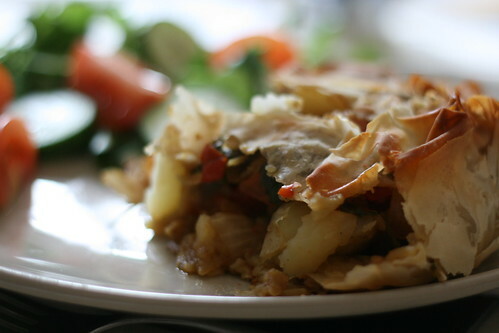 All ingredients are free apart from the pastry which is 6 syns a sheet. Whoops. Yes it is, will add to the ingredients. But if you don’t have it, just make it without!